This popular contemporary Jewish song is masterfully set by John Leavitt. 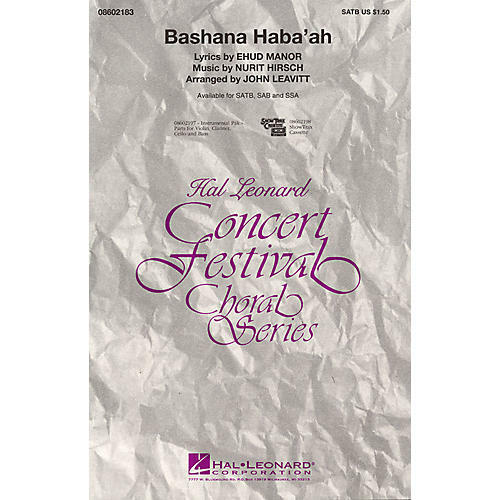 As the simple, memorable Hebrew chorus is restated, the music unfolds in a rich and sonorous outpouring, supported by the authentic orchestration. Available: SATB, SAB, SSA, TTBB, Instrumental Pak, ShowTrax CD. Performance Time: Approx. 3:40.